The boutiques along Queen West offer a plethora of styles to satisfy every fashion lover. And foodies will delight in many of Toronto's best restaurants. bars. lounges and clubs in neighbouring King West. 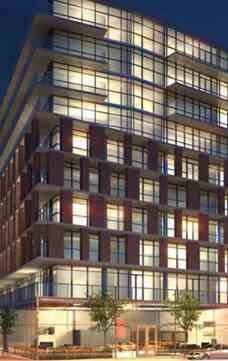 Garrison offers a lifestyle of neighbourhood amenities and downtown attractions. the perfect home for the urban dweller. ll By IV designed lobby. Equipped ﬁtness centre with yoga/aerobics studio. His and Hers spa washrooms with showers and saunas. Theatre room and games room. 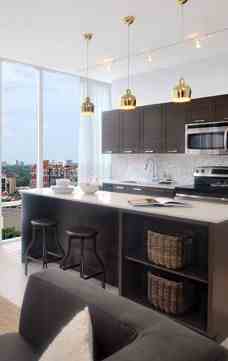 Furnished rooftop terrace with BBQ area. 9' ceiling heights in all principal rooms. Mirrored sliding glass door in foyer, as per plan. frames in bedroom(s). as per plan. Laminate ﬂooring throughout, as per plan. Porcelain tile ﬂooring in bathroom(s). Parks. baths and bike trails abound with the Martin Goodman Trail and Coronation Park just across the street, next to the shimmering waters of Lake Ontario. Indoor activities are abundant in the area with yoga studios. spin studios. fitness centres and a rock climbing gym that dot Bathurst and King Streets. For those who prefer to sit on the sidelines to enjoy their sport. the Rogers Centre and Air Canada Centre are just a short distance away.